Theta Engineering designed and built 4 different automated test fixtures for Beckman Instruments (now Beckman Coulter). 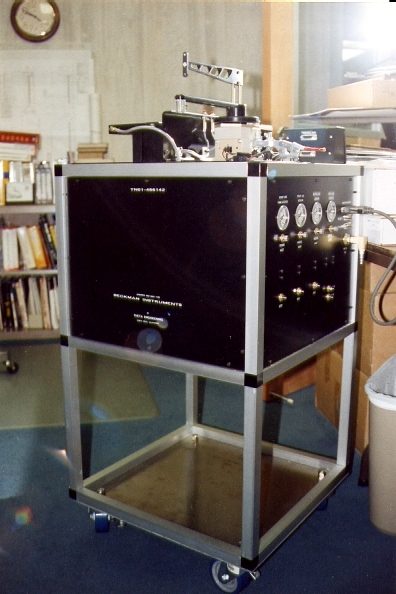 The unit pictured uses a combination of pneumatics and electronics for measuring the force and accuracy of a robotic arm which is itself a component in one of Beckman's medical lab instruments. Mechanical design, plumbing, front panel artwork, circuit design, software, system construction and documentation were handled at Theta Engineering.